The Foodbank sets up a farmer’s market with attractively displayed tables of fresh fruits and vegetables at an afterschool program in a low-income area. The children get to pick a selection of the produce and learn about them. They then go into a kitchen environment where they receive a cooking lesson from a community volunteer that we have trained, into how to turn all of that hard green stuff into something that they would want to eat. The kids go home that day with both the food and the knowledge of how to use it. That is a powerful combination and we’ve seen wonderful results in whole families. During the 2011/2012 School year, we offered 22 classes at 16 sites around the county and are a great example of community leadership, with members of the community running the program. 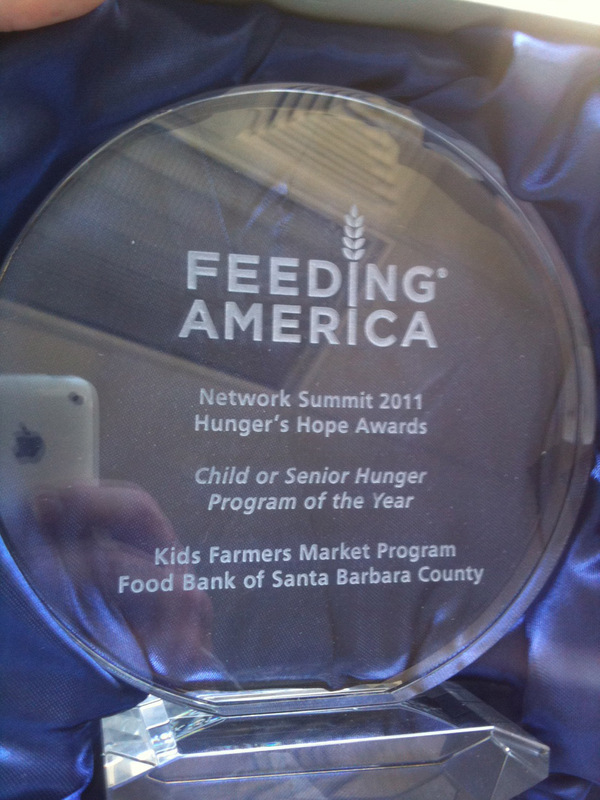 We were excited that this program won the Feeding America 2011 ‘Hunger’s Hope’ Award for the Best Child Hunger Program.